This week's Sneak Peek Tuesday feature is the Dotted Tie. 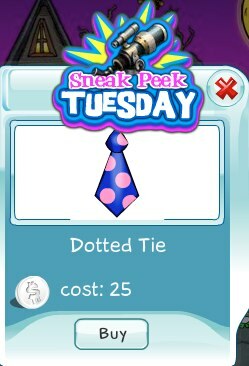 The blue tie with pink dots comes in the 70s retro wide shape. Get this hot item today before the sneak peek ends.